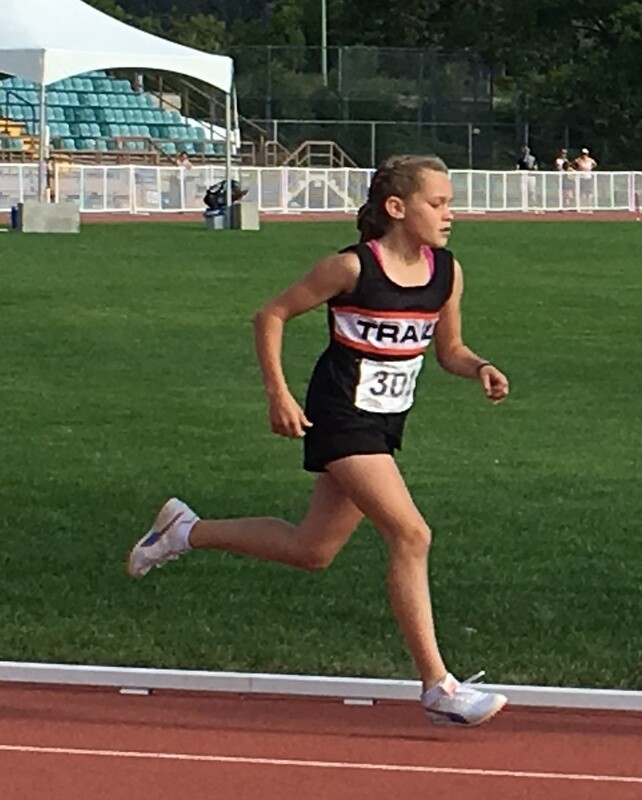 The Trail Track Club is an athletic association dedicated to developing athletes to their full potential. The club is focused on track and field, but is an excellent place for athletes of all disciplines to train, particularly through the winter months. Sprinting and endurance running help to keep one in shape and build speed, while throwing and jumping events test and develop flexibility and strength. Training on April 16, 2019 and Apriil 18, 2019 will be in the Fieldhouse from 6-8 pm. The first day of outdoor training at Haley Park will be on Tuesday, April 23, 2019 from 5-7 pm. New members are welcome. The 18th Annual Royal Canadian Legion Outdoor Track Meet will be held on Saturday, May 04, 2019. See the Meets page for more information. The Annual Silver City Days Fun Run will be held on Sunday, May 12 2019. See the Meets page for more information.